boats and, for years, also sold them sails from Hong Kong at prices no owner/operator charter skipper could ignore. Don was never a man of great means, and he supported himself and his family with his multiple roles as insurance agent, sail agent, freelance magazine writer, and author of cruising guides that set the genre for the Caribbean and many other regions. He also ran Iolaire as a charter boat, which couldn't have been easy, especially if the patchwork exterior was any indication of her condition belowdecks. He also suffered his knocks, the most grievous when his first wife, Marilyn, was murdered on Grenada by a local. Don didn't give up on the West Indies, and over the course of decades working Iolaire in the islands, he employed possibly scores of Grena-dian youth, some of whom went on to careers in the West Indian yachting industry and beyond. After I left the Caribbean in 1975, I ran into Don only infrequently until our circles joined again through Cruising World. 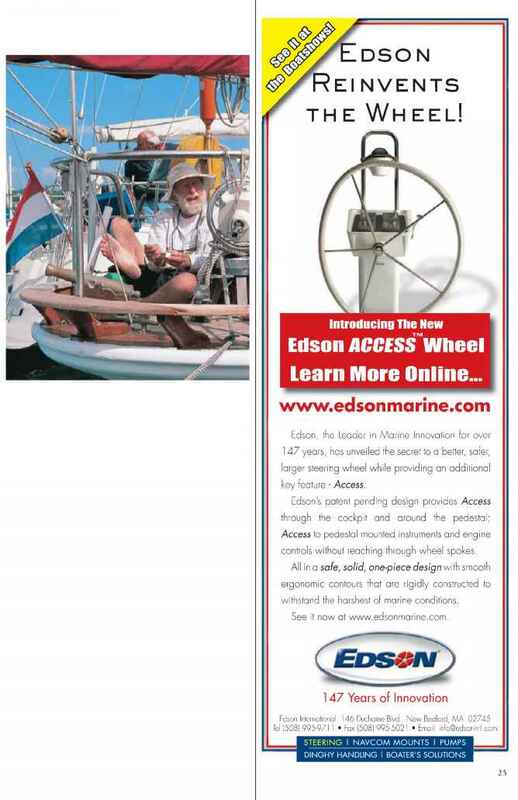 I well remember Don hailing me across the pressroom at the 1999 London Boat Show and bending my ear about the articles he should be writing for the magazine. Don pursues editors like a terrier, whether it's to promote the latest revision of one of his guides, a new chart from publisher Imray-Iolaire, or an article about staying out of trouble in the Atlantic Ocean (see "Caribbean Exit Lines," March 2004). To his credit, this persistence has ensured that for 40 years (his Cruising Guide to the Lesser Antilles first appeared in 1966), countless readers and sailors have benefited from his long and hard-won experience. 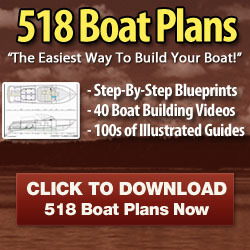 "There's not a lot of room on lolaire's deck for cleats, so we don't really have many"
I'd learned from Don that he'd put Iolaire through a couple of major refits in recent years, but my impression of the boat was still based on the "old days." I'd inferred, too, from some of Don's articles that while Iolaire might now be in fine physical fettle, she hadn't been modernized. She hadn't. "There's not a lot of room on lolaire's deck for cleats, so we don't really have many," says Don, which is why one of his pet topics is the tow-boat hitch (see "The Tenacious Towboat Hitch," April 2003). As I discovered, none of lolaire's winches are self-tailers (most of them predate the technology by half a century), making the towboat hitch and other improvisations essential to the boat's operation. I've since made the observation, perhaps unfairly, that walking on Iolaire's deck is like strolling through a marine consignment store. Lucky me, if I should find some of her gear in such a place. It's quite possible that some of the hardware aboard is, if not original equipment, at least as old as the boat. Most of it is antique. But Iolaire is what she is: an old boat that's been run on little more than love and a shoestring for half a century by a crusty sailor who reveres traditional tenets of seamanship and has little need or regard for modern conveniences. Passing boats need to heed the soot and wadding when Don Street sits down to fire off a salute aboard the "one-gun yawl" lolaire. astern. In the cabin, Don recently installed LED lights and evangelizes for them as though they'd come to him in a vision. 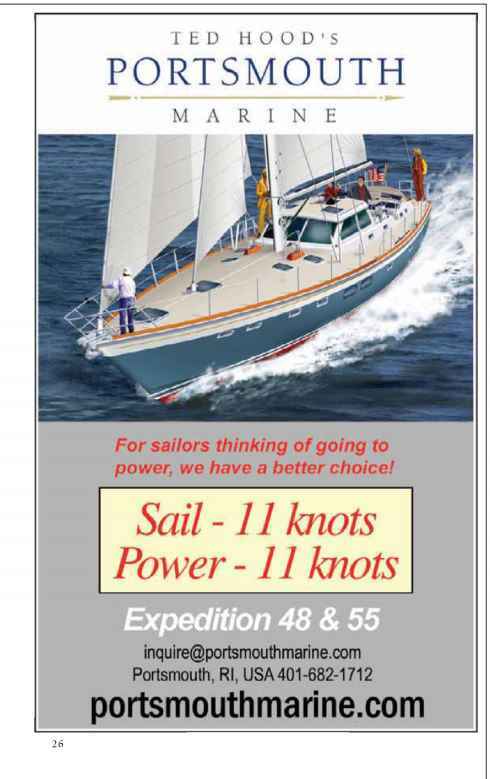 Most of my recent sailing has been short trips between shore-side plug-ins aboard modern cruising boats designed for short-handed crews. A week aboard lolaire represented a big step back in time—nearly 40 years, in fact, to the days I sailed with England's Ocean Youth Club in gaff-rigged boats of similar vintage. Don has never seen fit to set up lolaire for shorthanded sailing. No doubt, with Trich, his wife of nearly 40 years, at the helm, he could handle the deck work himself, but it's a long, obstacle-strewn walk from the yankee-sheet winch under the mizzen boom to the staysail-sheet winch by the main compan-ionway. The main halyard is at the mast, and it's probably the last one on a wire-reel winch. I swear I felt a twinge in my left forearm when I saw it, because I broke that limb mishandling just such a winch somewhere between Bermuda and New York in 1973. Don always sails with crew, and six seems to be a good number. lolaire has four bunks in her saloon, Don and Trich sleep aft, and it seemed a new face appeared on board every day of the regatta. an entire generation of Admiral's Cuplevel yachtsmen from all over the world. Others stepped out of the Victorian backdrop of Cowes as if cued from the wings of a stage: Will, a local lad who was born with his feet in the water; John, a refugee from the Caribbean yacht-survey business; John (Barney) Bardswell, who sailed a Folkboat nonstop from England to Grenada in 1969; and Bendt, a Dutchman on a summer cruise who stepped from his Bavaria 36 to Iolaires deck for a day while his family explored the island. 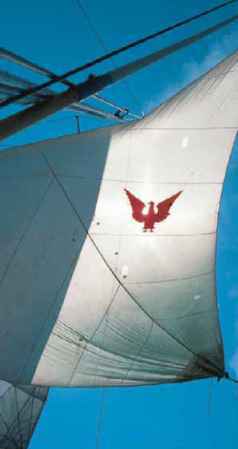 Aboard lolaire, the emblem of a sea eagle (or what Don Street calls the "Chicken of High Hopes") adorns the mizzen staysail, one of a number of sails flown during the classic boat regatta. dock about midmorning. Iolaire had been berthed on the extreme outside pontoon of the marina, not cheek by jowl with her flag-draped competitors, because she doesn't have an engine and hasn't had one for nearly 50 years. With Trich at the helm and Don calling maneuvers, we sailed off the dock neatly under the partially unfurled yankee and merged into the endless stream of craft, from rowboats to car ferries, that ply the narrow channel in the River Medina. Faced with a stiff, 10-mile beat against a two-plus-knot tide, we bailed on the race and sailed back and forth across the Solent practicing reefing and other procedures. As the day progressed, I began to understand how key a cog Trich is in the whole Street/Iolaire machine. She helmed as though she were part of the boat, and though she never raised her voice above a stage aside, we all heard her when she called for sail trim, the need for which she sensed through the five-foot-long tiller.